Our diversity competency expands our dimensions of potential business opportunity and business partners domestically and around the world. We recognize diversity as fundamental to modern business dynamics and cutting-edge competitiveness in the 21st century global marketplace. 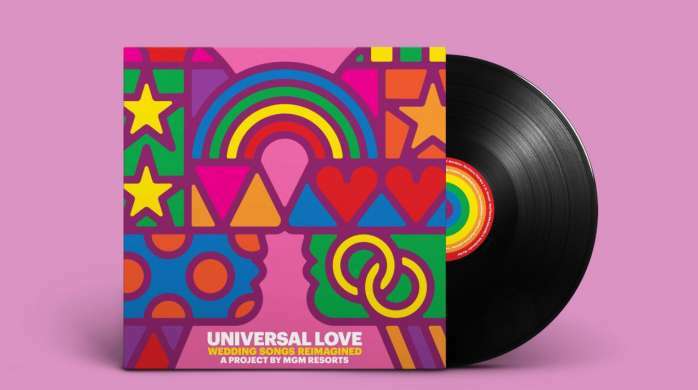 In 2000, MGM Resorts International became the first gaming company to voluntarily declare a formal diversity initiative as a matter of integrity and as a business imperative. The premise for our declaration is a simple reality: our Company is a microcosm of our world. Among our employees, our guests, our business partners and our suppliers the four corners of our planet intersect. To achieve our Company vision and mission to be the recognized global leader in hospitality and entertainment, we embrace diversity and innovation to inspire excellence. Diversity and inclusion anchor our culture of mutual respect among our diverse collection of extraordinary people–our greatest strength. We are all unique individuals but we are all connected and interdependent. We engage the contributions of every individual team member to fuel ultimate teamwork. We strive to leverage our powerhouse of diverse ideas and perspectives into results-oriented synergies that drive peak performance in our delivery of superior guest service and memorable guest experiences. We combine consistency in policy with flexibility in practice and methods to instill the values of diversity and inclusion throughout our enterprise. Diversity education is integral to forging our culture of inclusion and employee engagement. Our groundbreaking experiential Diversity Champion workshop teaches a basic creed for individual and collective responsibility in living diversity at work, at home and in our communities: In order for our teams to be first and best, we accept the accountability to acknowledge and value the contributions of all people. Our graduate Diversity Champions are role models for extraordinary guest service, guardians of our culture of inclusion and soldiers in our community outreach. Since the start of our Diversity Champion workshop, we have graduated almost our entire management team—over 11,000 champions. In December 2012, we pioneered an innovative 90-minute musical show called Inspiring Our World which used song and dance to impart our mission, vision and social responsibility values to over 41,000 front-line employees, all of whom are now Diversity Champions. 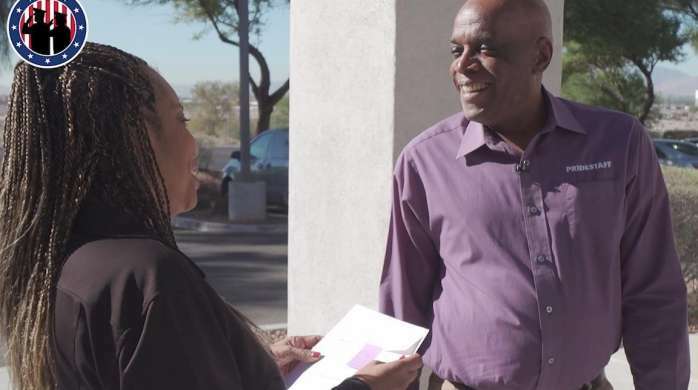 This was a tremendous stride in our quest to make every employee a Diversity Champion inspired and empowered to realize his/her full potential in our mission to elevate our Company and our community. We completed the presentation of Inspiring Our World to the remainder of our employees in 2013. MGM Resorts International believes in providing opportunity for every employee to grow, develop and succeed in a work environment where you can be your best. We encourage you to explore our job opportunities. Our Corporate Social Responsibility Councils, led by our Diversity Champions, are a cornerstone of our culture of diversity and inclusion. Our multicultural councils operate at each of our resorts and our corporate division. They reinforce inclusion teachings and practices, while providing communications and support networks for our champions as well as all other employees. Each council is governed by its own self-directed governance structure, and sets its own roster of annual activities. As such our councils are hubs for leadership development and collaborative teamwork in support of business objectives set by Company leadership and community engagement. In addition to our Corporate Social Responsibility Councils, we have launched several employee network groups designed to develop and strengthen relationships among employees with common identities, interests and issues; share valuable knowledge and information about career paths and development at our Company; provide mentoring support in addition to formal Company programs; and support important company initiatives, such as advertising and marketing events and campaigns. 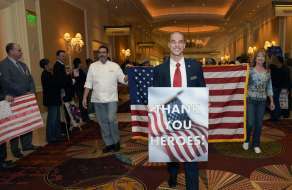 For more information, please email employeenetworkgroups@mgmresorts.com. Our nonprofit MGM Resorts Foundation is the presenting sponsor of our annual Women’s Leadership Conference. This conference aims to inspire participants to seek their highest level of personal and professional development by providing them with information, perspectives and strategies concerning various dimensions of development. The conference format includes keynote speeches, panel discussions, small group workshops and networking opportunities. 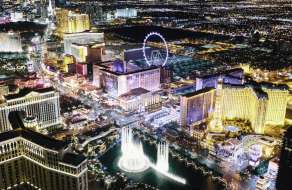 Proceeds of the conference after costs will be donated to one or more Las Vegas community nonprofit agencies devoted to the welfare, protection and/or development of girls and women. 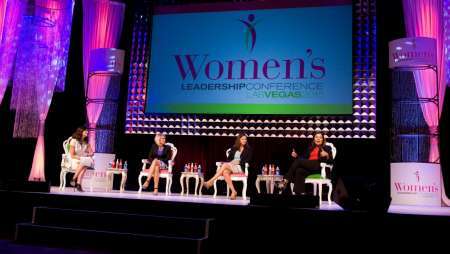 Learn more about the MGM Resorts Women's Leadership Conference. Inclusion of diverse suppliers in the commerce of our supply chain is a major priority in our global procurement program. Our goal is to provide business opportunities which promote our strategic objectives of quality and price competition. This provides diverse enterprises with economic opportunity, access to developmental guidance, capacity-building experience and the potential for repeat business critical to growth. Our Supplier Diversity Program includes enterprises owned by minorities, women, the economically disadvantaged, veterans, LGBT individuals and/or persons with disabilities. We require our primary suppliers to in turn utilize diverse businesses in their procurement processes and to track and report these results to us on an annual basis. We continue to lead our industry in inclusion and empowerment of diverse businesses in our construction projects, including maintenance and renovation of existing facilities as well as new development and construction. We engage in continuous efforts to identify capable diverse businesses with priority where possible to local enterprises. We use a variety of techniques—such as partnerships, mentorships and job segmentation—to extend diversity participation and foster growth of diverse businesses into more viable enterprises. We make our diversity business an imperative industry necessity for our contractors and service providers, with an aggressive pace for diversity participation.